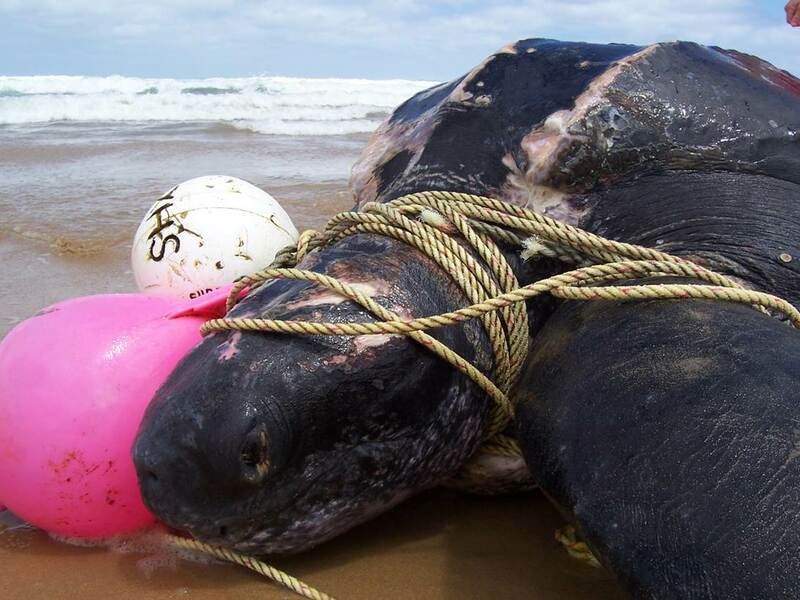 The Southern Australian Sea Turtle project is being initiated to bring together publicly and privately held information on sea turtles for the southern Australian region. This information will feed directly into research and conservation policy for these highly threatened marine species. The project, which began in April 2014, has so far gathered publicly available sighting (including stranding) records not currently retained in any one place. 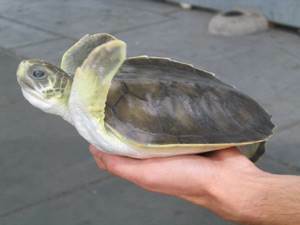 Five out of the six species of sea turtle have been recorded in these southern waters (i.e. 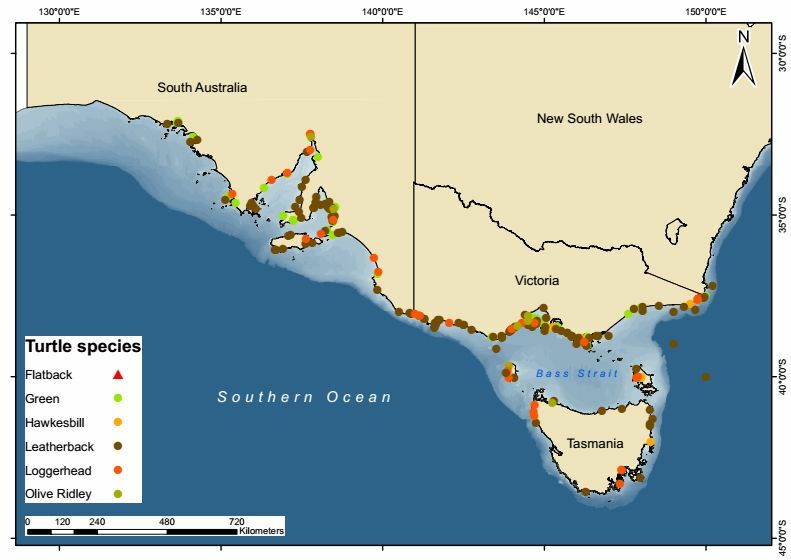 South Australia, Victoria, Tasmania), indicating that the region may be more important than previously thought for migration and foraging. The project is being developed by Deakin University’s Professor Graeme Hays and Dr Margie Morrice. They are collaborating with southern Australian marine fauna researchers and database managers. Sea turtles are endangered in many places around the world and face a number of threats. They are hunted legally and illegally for human consumption or fall victim to fishery by-catch or boat collision as they move through the sea. They are well known to be some of the most accomplished long-distance migrators on the planet, often travelling long distances between their breeding and feeding areas. Southern Australia (e.g. the coasts of South Australia, Victoria and Tasmania) lies far from the nearest breeding sites for sea turtles and yet turtles may be frequent visitors, coming to the area to feed. We aim to assess the importance of this area as a key foraging habitat, to drive knowledge based conservation management to minimise incidental mortality of turtles when they are in this area and highlight to the public how some of Australia’s most charismatic marine species use this area. We aim to learn more about what drives the occurrence of sea turtles off the coast of southern Australia. Some species may be regular visitors to this area (e.g. leatherback turtles), arriving from their more tropical breeding areas in order to feed. Yet our knowledge of this elusive species remains limited largely to anecdotal sightings and stranding events along the coast. So there is a huge knowledge gap that we aim to fill for some of Australia’s most charismatic marine mega-faunal species. Reports from the community are going to be vital to fill this knowledge gap.